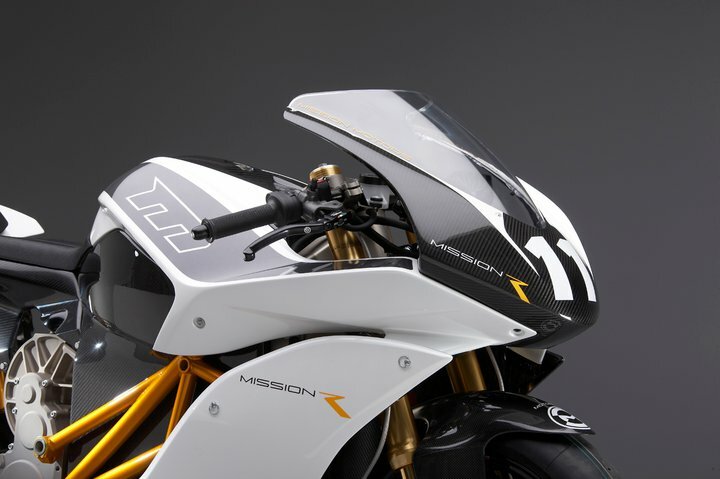 Mission announced their Mission R electric superbike at the Longbeach Motorshow in December 2010 to an impressed crowd of motor journalists and fans, The bike features a 141hp electric motor and a 14kWh lithium-ion battery system, the same system Mission Motors uses for its EVT drivetrain making the Mission R an EVT product ambassador, albeit a very handsome and rather quick one. 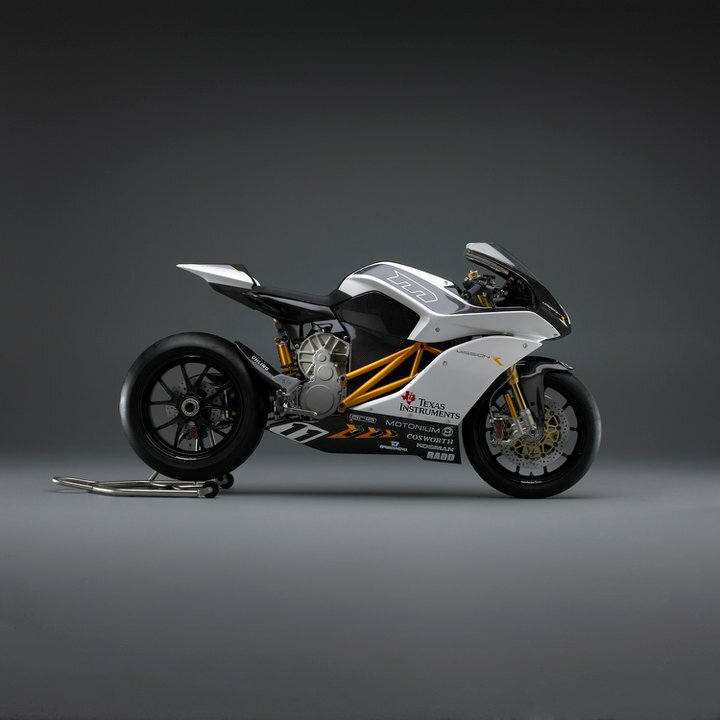 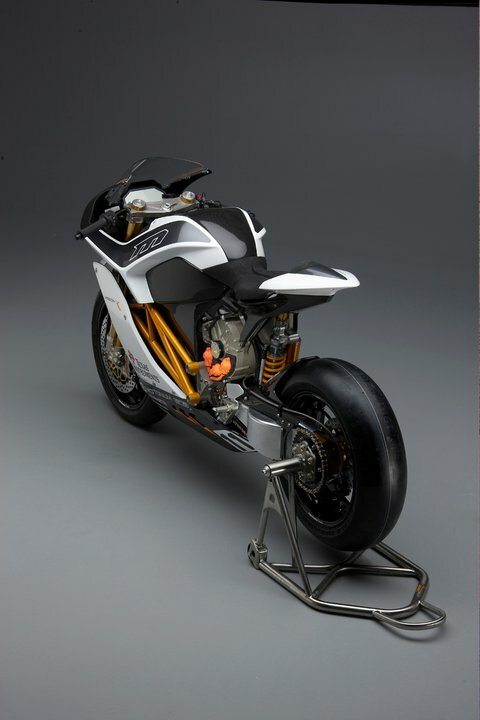 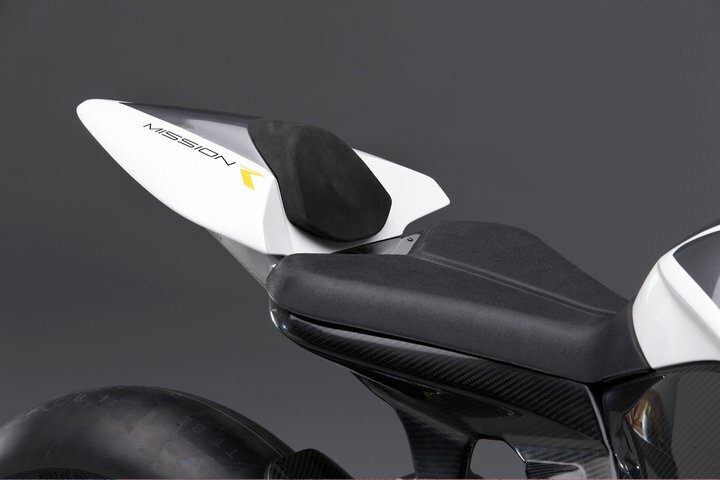 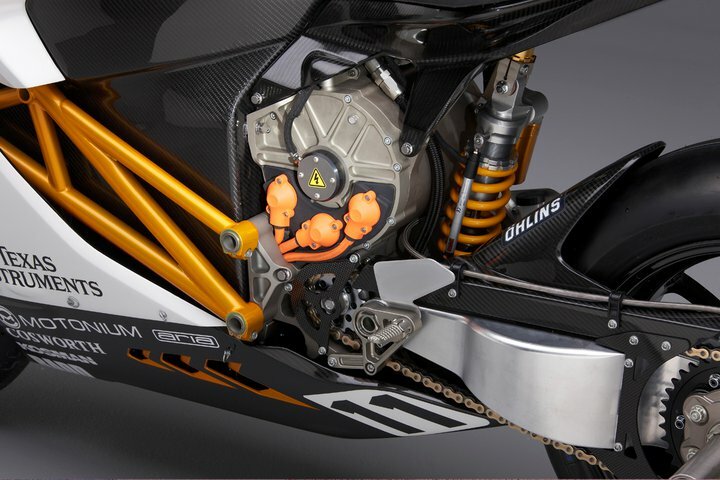 The heart of the Mission R is an advanced MissionEVT powertrain that packs 141hp and 14.4 kWh of energy storage in a package smaller than a 600cc sportbike. 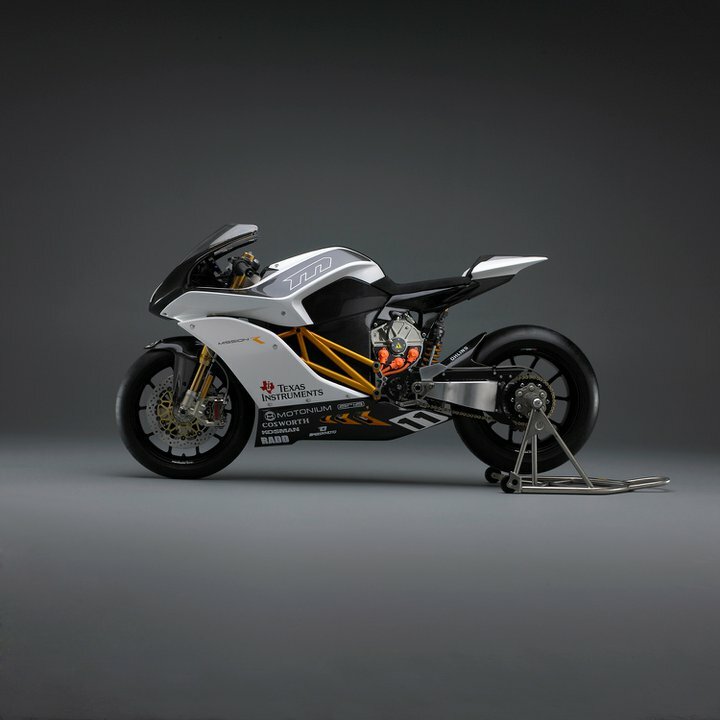 The liquid-cooled AC Induction motor produces 115 ft. lbs. 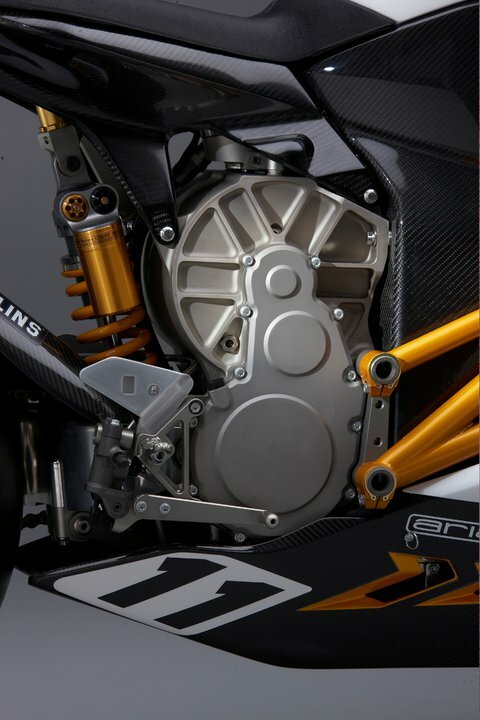 of torque the moment the rider cracks the throttle, rocketing the bike from a standstill to over 160 mph in one gear. 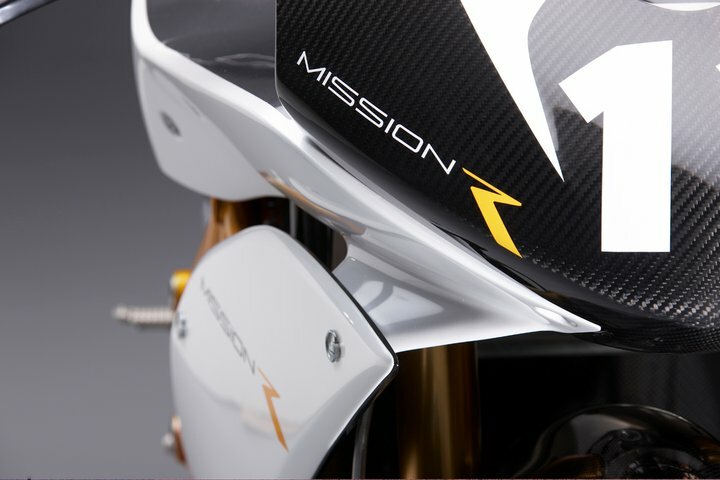 Power is managed by the MissionEVT 100kW motor controller, with customizable regenerative braking maps, throttle maps and more. 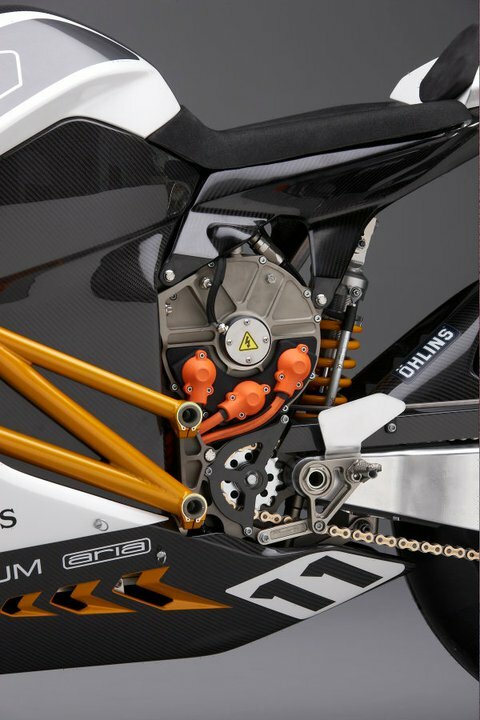 All vehicle and ride data is accessible via WiFi or 3G connections. 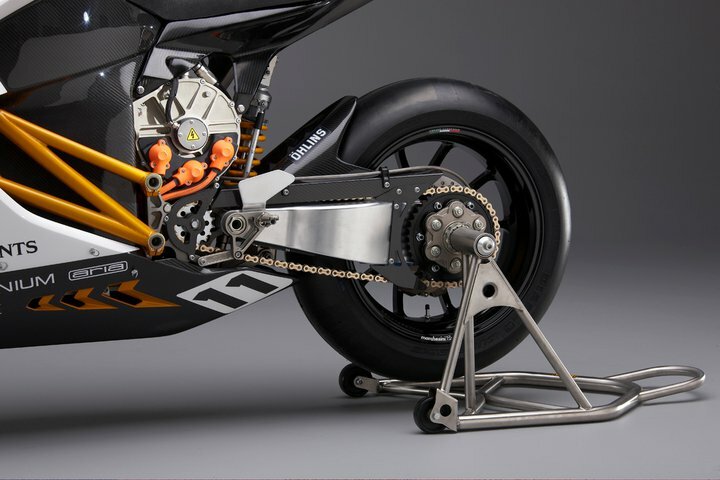 Putting our superbike technology on the track is the ultimate R&D testbed. 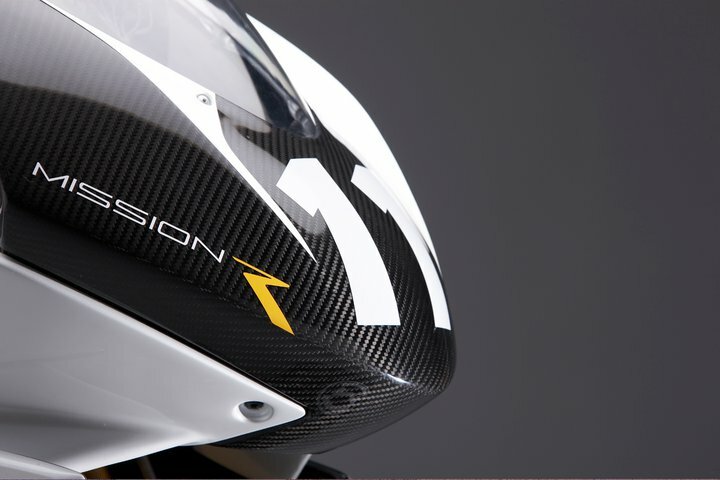 The Mission R was built to race, and everything we learn from racing is applied to our street superbikes and our MissionEVT powertrains. 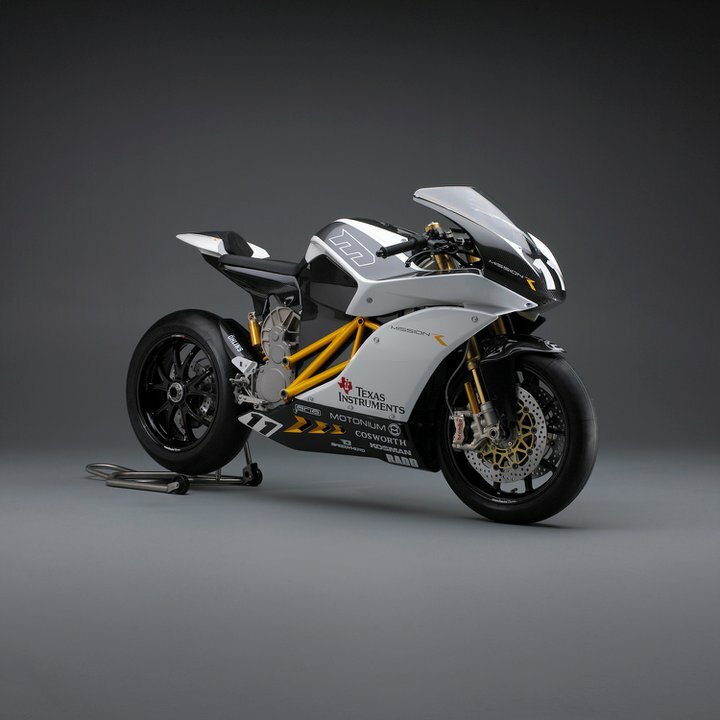 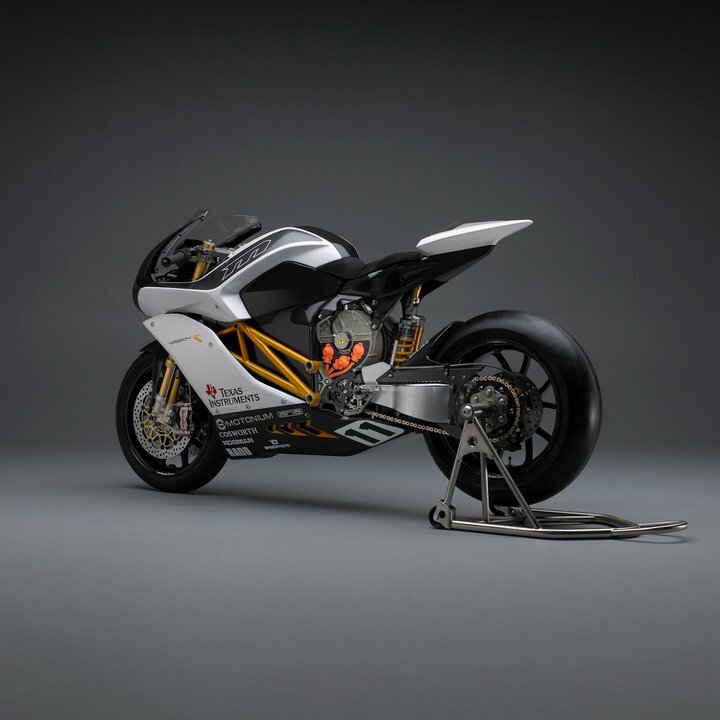 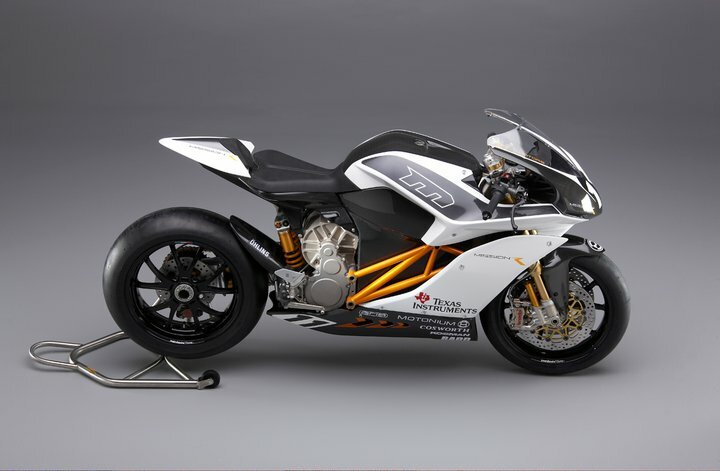 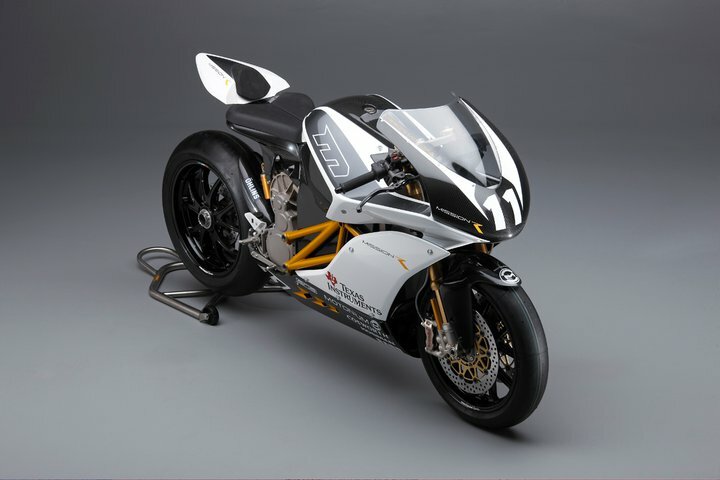 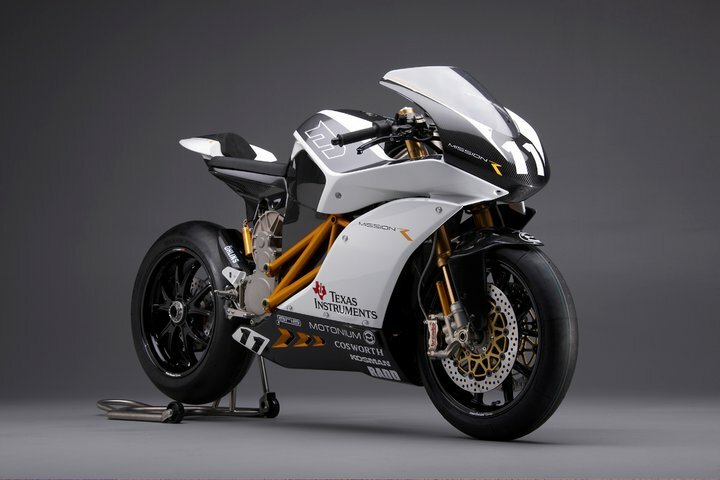 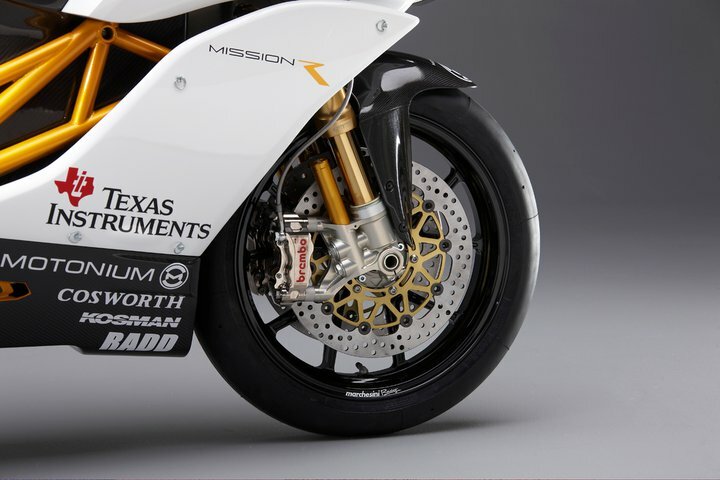 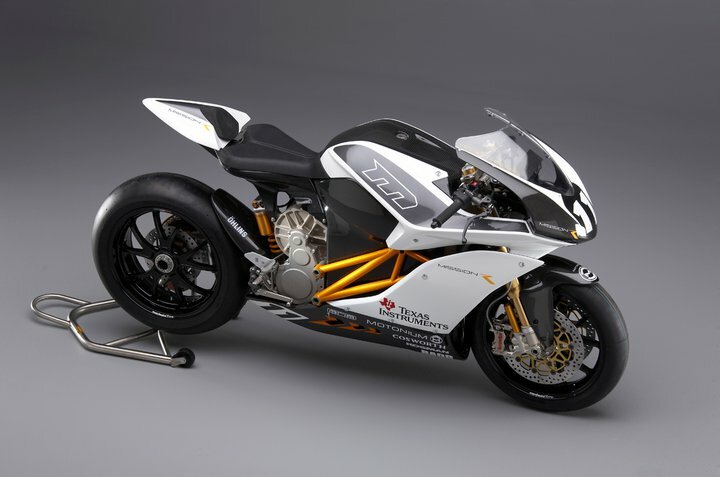 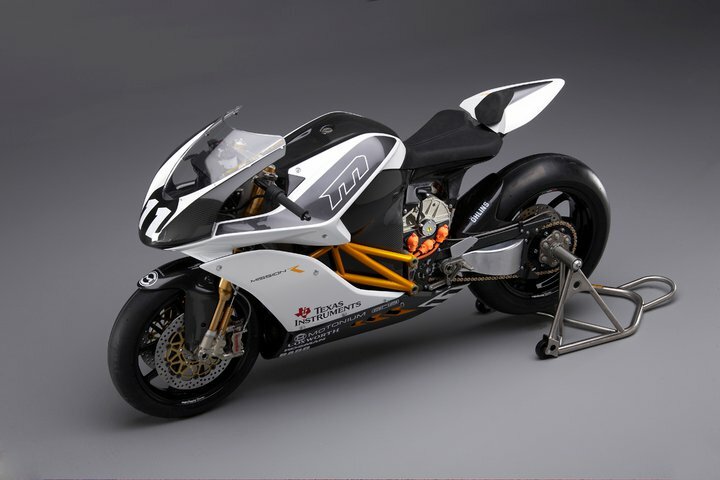 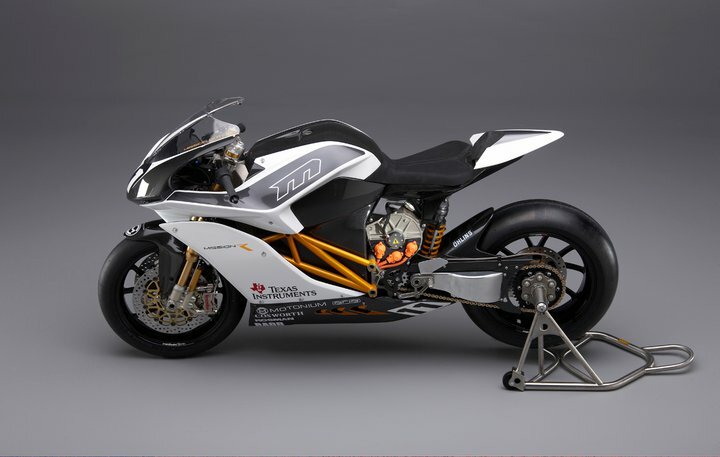 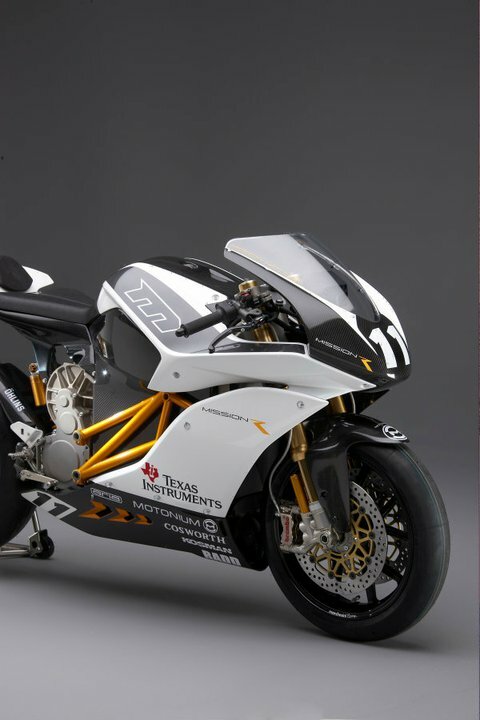 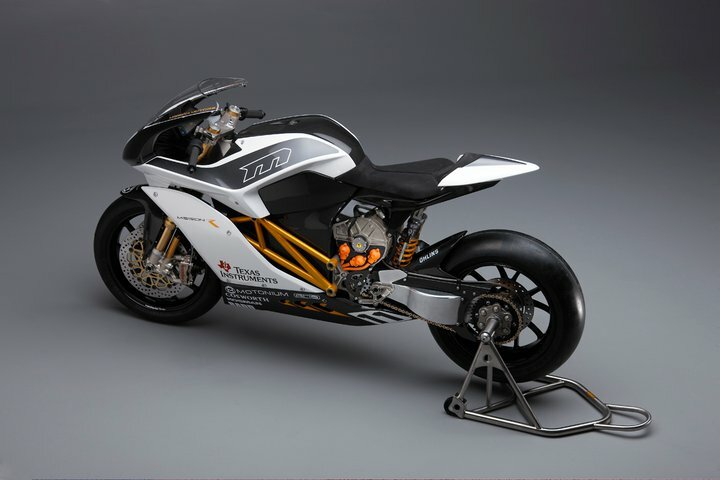 We’ll be expecting to see the Mission R racing in this years TTXGP along side some very serious competition, with Chip Yate’s electric superbike having beaten a handful of gasoline powered bikes earlier this month it’s appears as though electric motorcycles are coming of age.